The Hitotsubashi ICS MBA is a two-year full-time program delivered in Tokyo, Japan, one of the world's largest and most dynamic cities. Students of the program will be able to develop skills for a Japanese, Asian and international business context and the possibility to study abroad at and earn a second degree from Hitotsubashi University's partner institutions. Over two years with Hitotsubashi ICS, you will develop a new management and cultural perspective: you will study business administration from Japan's perspective and incorporate it in a global business administration model. The program covers essential best practice in business, as well as specialized areas, such as international finance, global management, business ethics, brand management, marketing, strategic thinking and more. 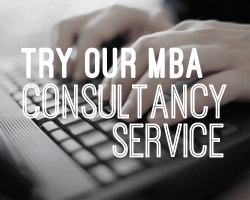 The MBA curriculum has been designed to foster a deep understanding of best business practices in the Japanese, Asian and international contexts. You will be exposed to a wide range of business philosophies that engage the deeper questions of business. Rather than being provided with the "right" answers, you will gain a collective understanding of diversity and innovation, tolerance for ambiguity and the courage to embrace paradox, which will enable you to navigate the most complex of scenarios. The program is divided into two core parts, providing both the essentials of advanced business practice and an opportunity to customize the curriculum to individual goals and interests. During the second year of the program, you will be able to mix and match elective courses, study abroad at Hitotsubashi University's partner institutions, start a new business or engage in an individual research project. As part of the BEST Alliance partnership between Hitotsubashi ICS, Peking University and Seoul National University, students enrolled in the 2-year MBA route, may study their second year abroad and get their MBA title recognized by the three universities. Each cohort of students consists of approximately 50 students. By keeping the student to teacher ratio low, Hitotsubashi ICS can maintain a high level of student-faculty engagement and enable students and peers to develop meaningful relationships. Being selective, small class sizes are designed to include highly motivated, talented individuals, providing candidates with access to a valuable professional network. Every year, a cohort of 50 students are admitted to the two-year MBA program. Class sizes are kept to a minimum to ensure that each candidate receives every opportunity to engage with faculty and develop meaningful relationships with their peers. The program is highly international and is ideal for both Japanese and non-Japanese students. Upon successful completion of the program, candidates will be awarded the Master of Business Administration (MBA) from Hitotsubashi University, recognized by academic and professional bodies from all over the world. Candidates who choose to study their second year abroad at one of ICS's BEST Alliance partners in China and South Korea, receive a second degree from the partner university attended, Seoul National University or Peking University.